Profan is back! As an addition to his art/music works, Wolfgang Voigt has created Kafkatrax, a Profan project that, like Voigt’s previous releases on Profan, focus on one main sound accompanied by not much more than a bass drum. In this case, the main idea is created by using voice segments of a Franz Kafka audiobook, which lays the groundwork for the few sounds Voigt chooses in addition to the voice. It’s limited to 200 copies with hand-painted covers, done by Voigt himself. Dial, Laid, Musik Gewinnt Freunde, and 200 Records are all presenting wonderful deep house today from Roman Flügel, Palisade (Redshape), Lake People, and French DJ/live act Nhar. 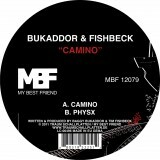 Bukaddor & Fishbeck return to My Best Friend with “Camino”, Paul Woolford and Mat Playford have delivered a trippy yet uplifting EP to Throne of Blood, and Taron Trekka sees his first 12″ with Milnormodern. 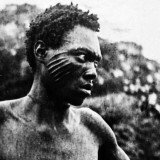 Andy Stott’s Dub Techno album is out now on Modern Love and Mark E’s genre crushing productions are available on CD or DO-LP with Spectral Sound. 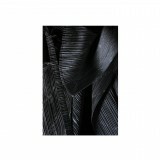 Other albums out today include the massive album from Kitbuilders, as well as the much talked about LP from Borngräber & Strüver on m=minimal. John Talabot just put together a podcast for XlR8R; you can download it here while you listen to his release from last week on Young Turks. 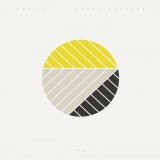 Dominik Eulberg’s new album received a 4.5/5 at Resident Advisor and you can read the review here. Tomorrow, Michael Mayer will conduct a “live mix tape” as part of the Distortion Festival event in Berlin. He has curated an hour long mix and invited 10 acts to help him perform it, live! The whole event spans a full 24 hours with music and food at different indoor and outdoor venues. Read more about it here, and have a great weekend! Roman Flügel brings Eclectisism, Modernism and Dandyism under a groove. Timeless. After taking a break for more than 6 months Bukaddor & Fishbeck return with 2 quality tracks. 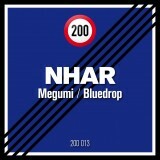 Very nice and dreamy Tech House somewhere between Border Community and Marek Hemmann. Two brilliant, timeless, deep and majestic dance floor tunes with a unique and sublime sound. 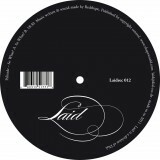 Finest Dub Techno from Andy Stott. Limited to 700 copies worldwide. 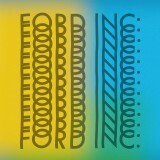 Mat Playford & Paul Woolford (20:20 Vision) are Ford Inc who combine uplifting pianos with emotive synths. Palisade is a new project of Redshape! Expect some awesome deep House music! This album format doesn’t lend itself to four-on-the-floor electronic dance music. 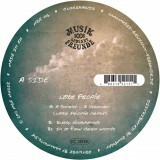 It’s a record of pace and determination, full of classic house touchstones and steady, almost militant tempos. 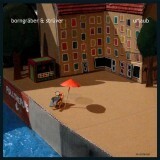 Borngräber & strüver have extended the concept of “21th century electro motoric kraut” on the new album “Urlaub” and added their preference for disco music. The Kitbuilders fluctuate between adrenaline-rushed 909 beats, fluttering sci-fi arpeggiations and tense, sinister moodiness. 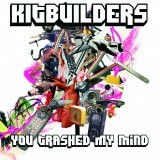 The music of Kitbuilders can be described as electro with scifi-punkrock-energy. The Trekka rolls on and just takes time out for dinner at the rest stop of Milnormodern. Read: Cómeme Newsletter – Free Download And More! 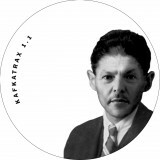 New: sale priced section at Kompakt.fm!